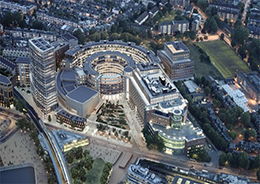 Tokyo, Japan, November 16, 2018 - Mitsui Fudosan Co., Ltd., a leading global real estate company headquartered in Tokyo, announced today that construction has completed in November 2018 for Phase 1 of the Television Centre Redevelopment Project in London, which had been developed through its UK subsidiary, Mitsui Fudosan (U.K.) Ltd., from November 2015. 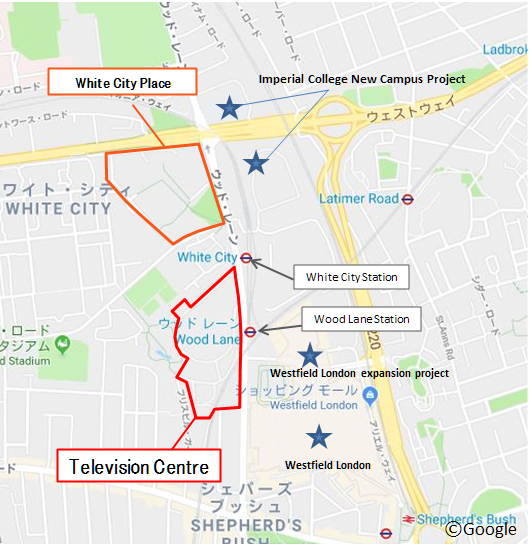 Mitsui Fudosan has been pushing the redevelopment project forward after acquiring the site and buildings from the UK public broadcaster the British Broadcasting Corporation (BBC) in July 2012. 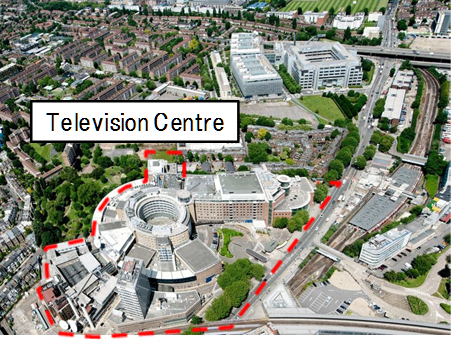 Television Centre is located approximately 3.7 miles (approximately 6 km) west of London’s West End. 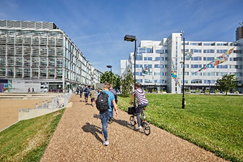 The project forms part of a wider regeneration area in White City which includes London’s redevelopment areas with the new Imperial College university campus and Westfield mega-shopping complex. 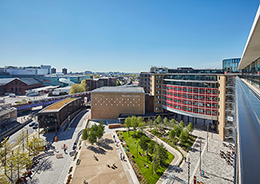 Combined with the redevelopment project at the adjacent White City Place, acquired from the BBC in June 2015, the total site area of approximately 1,338,000 ft2. 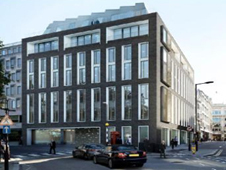 (approximately 124,000 m2) and total floor space of approximately 4,263,000 ft2 (approximately 396,000 m2) is the largest-ever city development in London by a Japanese company, and is one of London’s major developments. 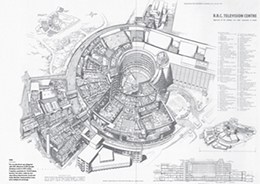 Television Centre is a transformation of the recording studios and offices once used by the BBC into a mixed-use facility comprising of offices, residential housing, a hotel, and other facilities. 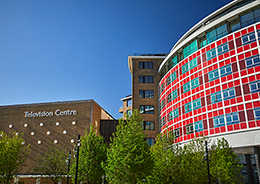 The original budilings and many iconic features, which many will remember as features of the BBC, have been largely retained thereby creating new charm and value in a British heritage. 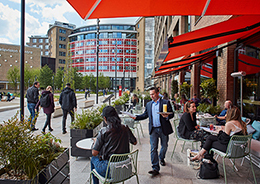 Demand in each facility has been remarkable due to the enhancement of the city’s attractiveness; Approximately 90% of the residential housing has been sold, and office spaces have been fully let. 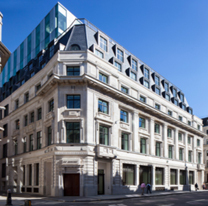 The hotel operated by Soho House & Co is also experiencing high levels of occupancy. The Mitsui Fudosan Group’s long-term management policy, Vision 2025, includes the aim to evolve into a global company. Dramatic growth overseas is expected in the future. In addition to Europe and North America, the Group is also developing businesses in China, Taiwan, and Southeast Asia. 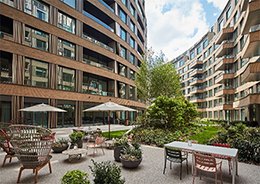 In the Europe and North America areas, Mitsui Fudosan is involved in development projects for various uses including offices and rental housing. 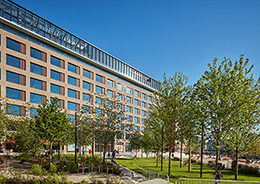 Taking into account the changes in society and economy, Mitsui Fudosan plans to further expand opportunities going forward, including development of trophy properties such as the Television Centre and White City Place in the UK, the 55 Hudson Yards that has completed in October 2018, and the 50 Hudson Yards that is expected to be completed in 2022 in the US. 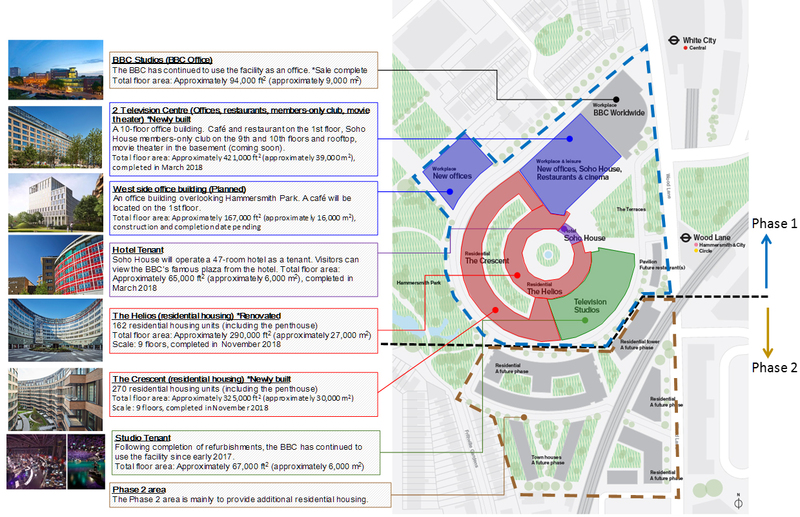 *This redevelopment project will proceed in two phases. 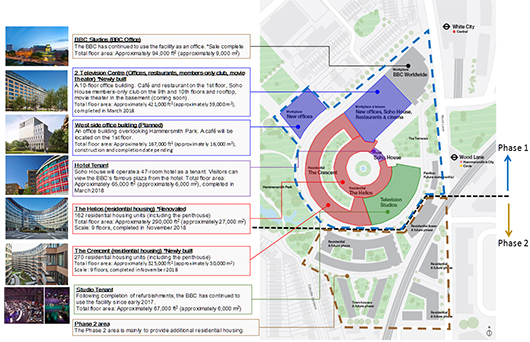 Phase 1 provides residential housing, offices, a hotel and club, etc. 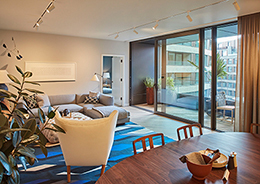 Phase 2 is expected to provide additional residential housing.